KSB Singapore was established on 22 September 1988 in the name of KSB Pumps (South East Asia) Pte Ltd for the distribution and sales of KSB manufactured centrifugal pumps and valves in the Asia Pacific region. The operation started to expand in business and manpower from 1990 and its name was subsequently changed in June 1990 to KSB Pumps (Asia Pacific) Pte Ltd.
During this period, KSB Singapore, being the Regional Office of KSB in Asia Pacific, was also instrumental in assisting its parent company, KSB SE & Co. KGaA to establish the various KSB companies in the Asia Pacific region. 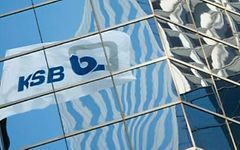 In December 1999, the company merged its operations with AMRI Singapore Pte Ltd and thereafter changed its name to KSB AMRI (Asia Pacific) Pte Ltd. The company’s name was changed again to KSB Singapore (Asia Pacific) Pte Ltd in November 2005.